The band Guster is getting ready to release their newest album, and they've teamed up with L.L. 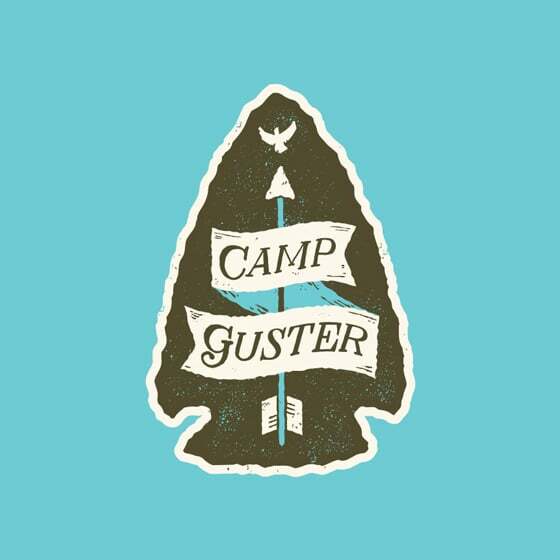 Bean to create a totally unique outdoors' y experience: Camp Guster.Guster's management hired me to create a new logo for the event, where the whole band will be joining fans in Freeport, Maine, on September 14 for a full day of outdoor activities – paddleboarding, kayaking, archery, lawn games and more. Followed by a bonfire BBQ and an exclusive acoustic set from the band featuring songs from the new album. The easiest way to attend is by donating on Pledge Music. See my different color-ways of the logo, below.